Google recently disabled a feature included in its upcoming Google Home Mini smart speaker after a reviewer found that it was causing the device to record conversations and sounds even when no "OK Google" prompt word was spoken. As detailed by Android Police's Artem Russakovskii, who received a Google Home Mini test unit last week, the device was malfunctioning due to an issue with the built-in touch panel designed to let Google Assistant be activated with a press instead of a voice command. The Google Home Mini's touch mechanism was registering phantom touch events, causing it to continually record audio, which is not supposed to happen. Russakovskii discovered the problem after finding thousands of recordings in the Assistant section his My Activity portal on the web, where Assistant queries are stored. We have learned of an issue impacting a small number of Google Home Minis that could cause the touch mechanism to behave incorrectly. We are rolling out a software update today that should address the issue. To fix the malfunctioning touch panel, Google released a firmware update for all Google Home Mini devices disabling the feature allowing Google Assistant to be activated with a long press. Google told Russakovskii a longer-term fix is in the works, but in the meantime, the press to activate feature will not be available when the Google Home Mini launches. In response, the updated software disables the long press to activate the Google Assistant feature. Once the Google Home Mini devices receive the updated software, all long press events (real or phantom) will be ignored and Google Assistant will not be invoked accidentally. The company also let me know that they're in the process of building a long-term fix, whatever it may be. It's too early to say if they're going to be able to deal with "phantom" touch events entirely in software or a recall for affected units will be in order. When the issue was discovered, Google took it seriously and collected the faulty review unit within a matter of hours. An engineer worked over the weekend to figure out what was going on and the firmware update to remove the feature was available by Tuesday. 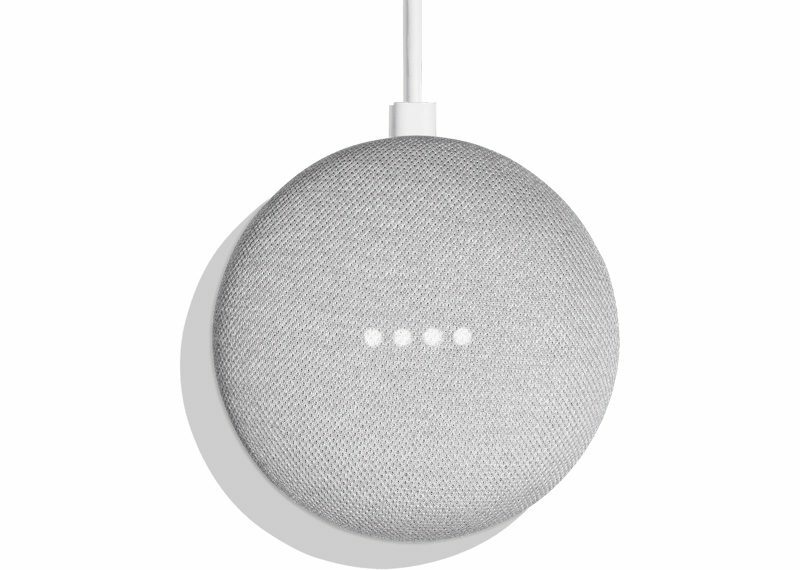 Introduced last week, the Google Home Mini speaker is priced at $49.99 and can be purchased from the Google website. Google Home Mini units are expected to begin shipping out to customers on October 18. Update: Google has provided an updated statement on the situation Google Home Mini and has decided to permanently remove all top touch functionality from the device. "We take user privacy and product quality concerns very seriously. Although we only received a few reports of this issue, we want people to have complete peace of mind while using Google Home Mini. We have made the decision to permanently remove all top touch functionality on the Google Home Mini. As before, the best way to control and activate Google Home Mini is through voice, by saying "Ok Google" or "Hey Google," which is already how most people engage with our Google Home products. You can still adjust the volume by using the touch control on the side of the device." Think I’ll buy one because it’s been ages since anyone listened to me for an extended amount of time. Also, pink rabbits invade the Moon and discover it’s made of swiss cheese. Next thing you know, someone will tell me there's gambling at Rick's. Of course, if this was an Apple device this thread would look very different.